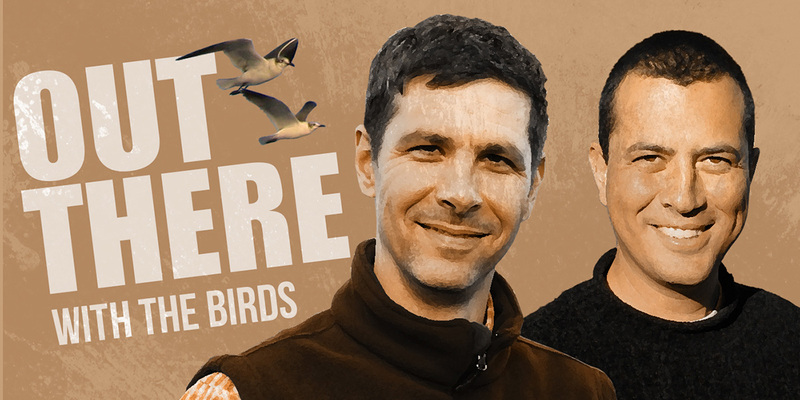 BirdWire: Birds in the News, and More Nest Trios! 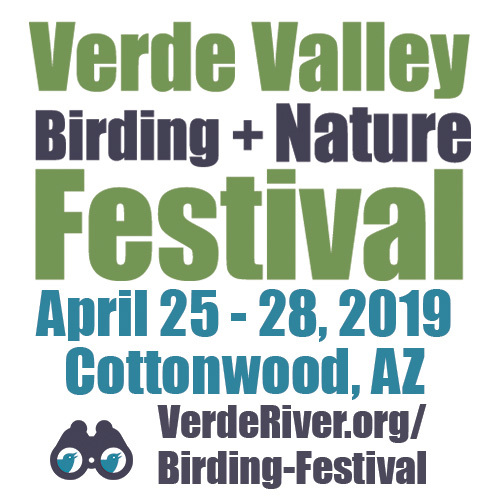 BirdWire: Birds in the News, and More Nest Trios! See more stories about nest threesomes, only with a more typical arrangement: mom, dad, and a helper. Also, get ready for the World Series of Birding! 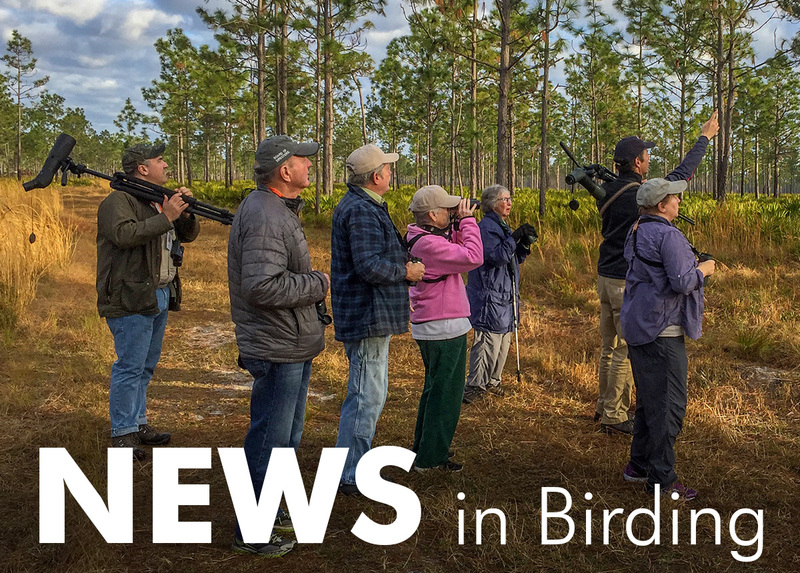 With its lead story about a bald eagle nest with one mom and two dads, the March 2 edition of BirdWire was one of the most popular of all time! We begin this issue with two more stories of nest threesomes, but both discuss more a typical cooperative breeding arrangement: mom, dad, and a helper. 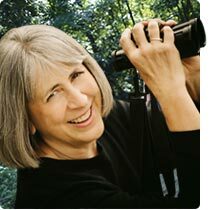 We also provide an early heads up for any birders who might want to compete in the World Series of Birding. 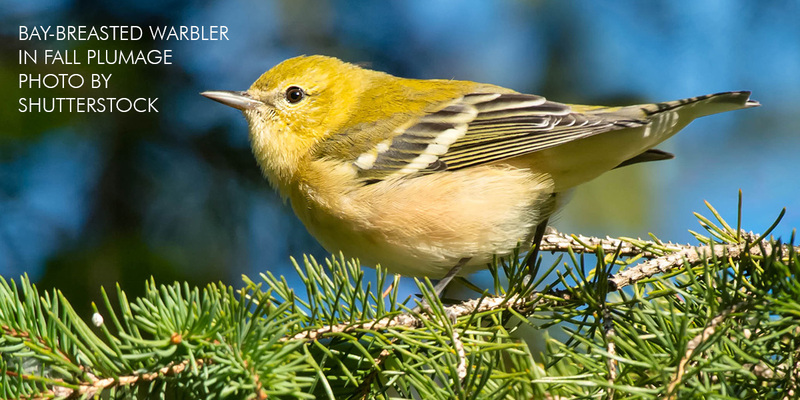 Every spring, binocular-wielding birders help us welcome back 30-plus warbler species and a winged army of other songbirds that summer in the Adirondacks. Come sing a song of spring with us! When mates are hard to find, some singleton birds become au pairs. Nest helpers are frequently reported by those who observe nesting bluebirds, jays, crows, and several other bird species. Helper birds feed the young or the mother while she is incubating, and may also help defend the nest. New research from the Florida State University helps explain this phenomenon. 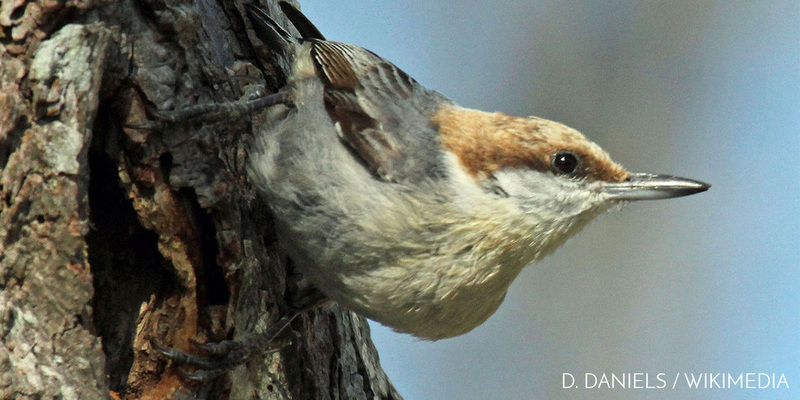 The researchers swapped brown-headed nuthatch nestlings of known gender in two large pine forests over a five-year period, resulting limited mating opportunities. Some unmated birds—especially females—dispersed to find a partner elsewhere, but many birds—especially males—stayed in their natal area and served as nest helpers to their parents or to other nesting birds in the area. The frequency of nest helpers doubled in male-biased areas relative to unmanipulated areas, and in some cases, one nest had multiple male helpers, which is uncommon in a natural situation. The research findings were published in March 12, 2019, in Behavioral Ecology. Relatedly, halfway around the world, scientists found that having a female nest helper increases the longevity of mother birds. A 15-year study allowed researchers to study individual birds on a small island in the Indian Ocean. 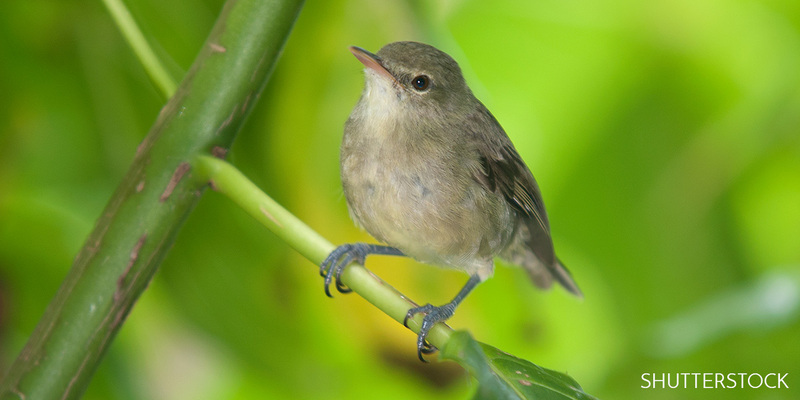 Nearly all the Seychelles warblers on Cousin Island were banded with color tags for unique identification. Researchers knew the age and breeding success of most birds. They also knew which birds had nest helpers, and the gender of the helper. Male nest helpers bring food to the mother and young; female nest helpers do all that, but also share incubating duties. Senescence—the effects of aging—can be measured by the length of telomeres on an individual’s chromosomes. 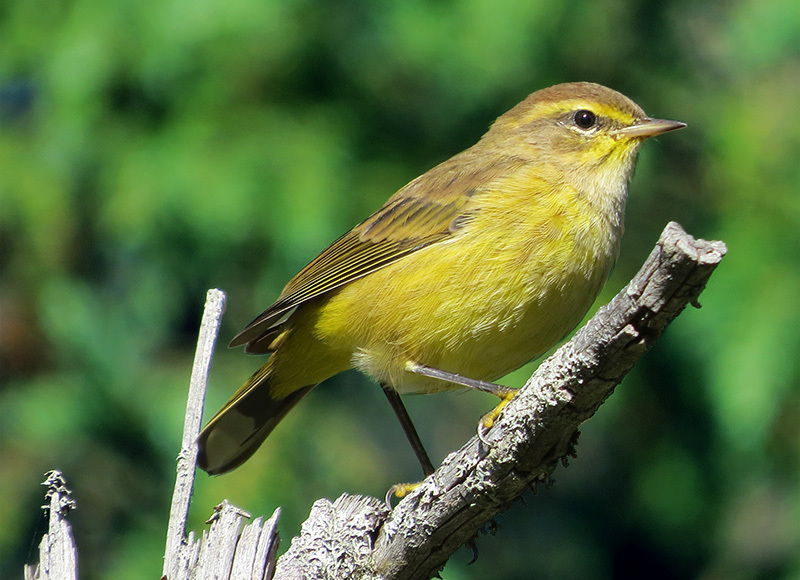 Older nesting female warblers who had a female helper had longer telomeres—showing better health—than those that did not. The researchers conclude that delayed senescence is a key benefit of cooperative breeding. The research was published in the March 21, 2019 issue of Nature Communications. 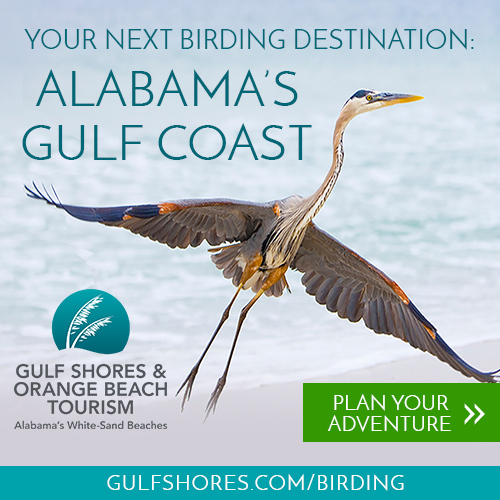 The World Series of Birding is May 11, 2019! Birding can be a competitive hobby. 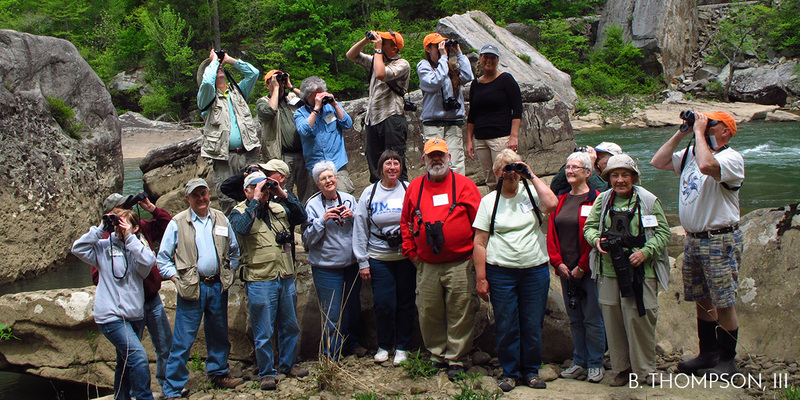 Since 1984, teams of birders have been flocking to New Jersey in early May, hoping to claim the trophy of the World Series of Birding. Hosted by New Jersey Audubon, the event is a fundraiser for that group and other nonprofit organizations represented by participating teams. 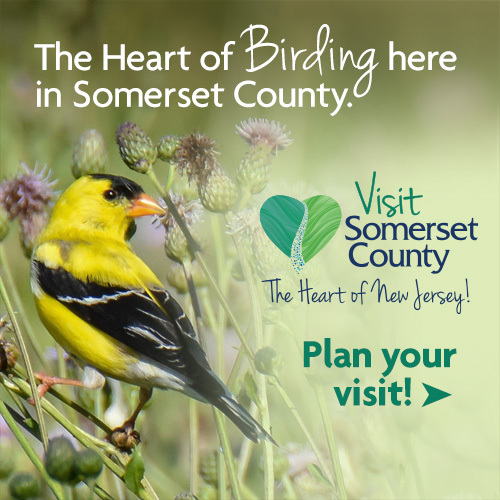 The goal is to see as many bird species as possible on one day in the state of New Jersey. This year, the event will be held May 11. The Bird Watcher's Digest/Cape May Bird Observatory team won the grand prize in the inaugural year of the contest, with 201 species tallied. It should be noted that team members included Roger Tory Peterson, Pete Dunne, and David Sibley. The highest tally ever reported was in 2007, when the Swarovski Optik/Cornell Sapsuckers team tallied 230 species. Cumulatively, teams have tallied as many as 248 species in the state on the day of the event. To date, the event has raised nearly $9 million for bird conservation. Categories for noncompetitive and youth teams are also part of the WSB. Fall Migration Rendezvous: Hog and Monhegan Islands—Only 7 Spots Left! There are few American landscapes as iconic or as bird-rich as the island-studded coast of Maine, especially during autumn migration. Monhegan Island is the perfect distillation of both natural beauty and the Maine coast's remarkable tendency to concentrate migrants, sometimes in astounding numbers. 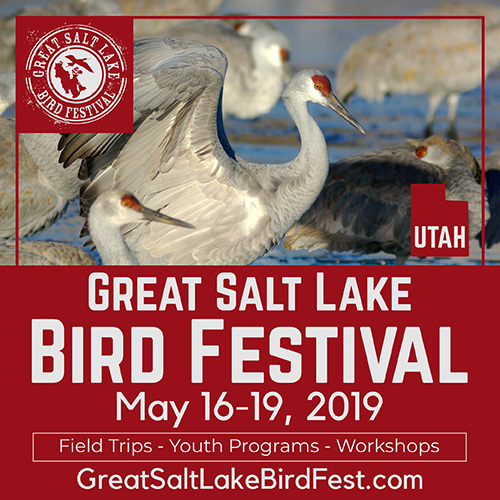 Beloved Bird Watcher's Digest columnist and long-time Hog Island instructor Scott Weidensaul will be present on this Rendezvous along with your trusty BWD staffers Dawn Hewitt, Ben Lizdas, and Emily Jones. Alvaro recounts tales from Japan, including fish eagles, fish owls, and talking toilets. Also, the guys discuss the Chilean/Argentinian divide, and geography's impact on both bird distribution and human culture. 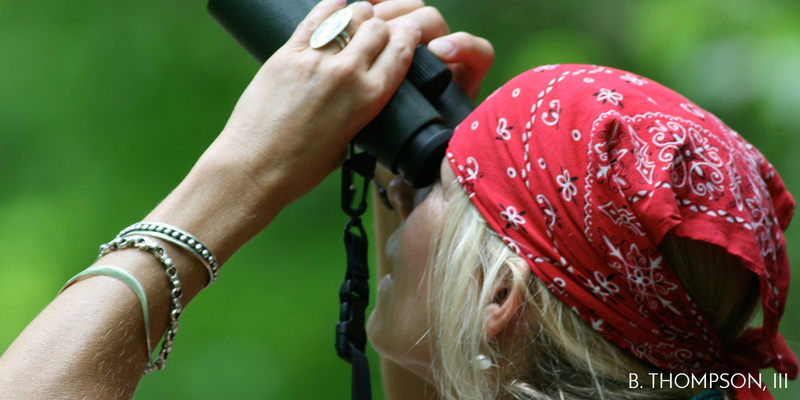 The topic turns to the true Zen nature of birding and how it may challenge some of your bird ID assumptions! All this and more in Episode 52 of Out There With The Birds! 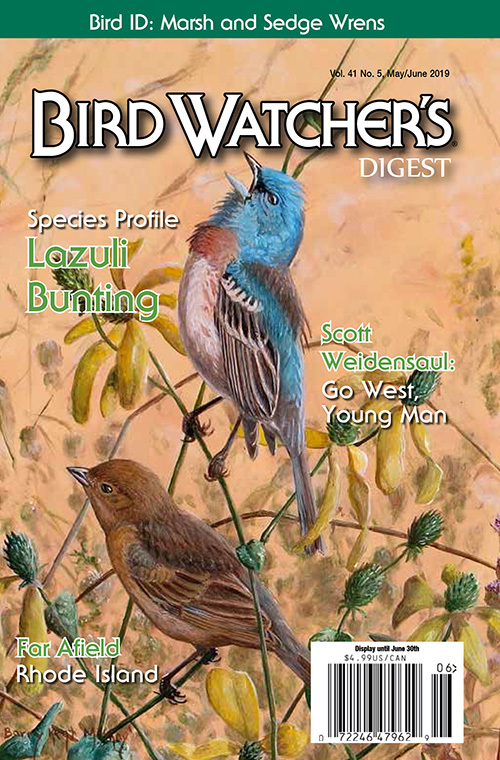 Barry Kent MacKay, the artist who painted the birds on the cover of this issue, also wrote the species profile. As a child, the American West and its birds intrigued and allured him. When he finally spotted lazuli buntings, he saw the colors of the West. They nest in similar habitats, but it's not hard to distinguish marsh and sedge wrens when you know their differences in appearance, vocalization, and behavior. There are also "cryptic" species within these two, which Alvaro Jaramillo predicts will be separate species someday. How can a bird watcher concentrate when there are colorful, tropical birds all around him? Guest contributor Charles Avenengo recalls an important day in his life, and the distractions that made it difficult to focus on his vows.